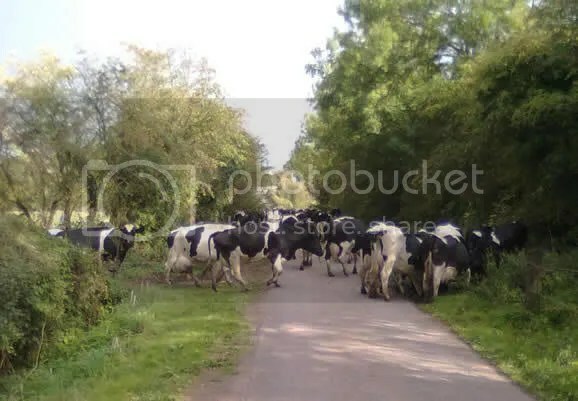 Late ride today, with only limited time before sunset at 19.15, so you want to freesteady miles, unimpeded by traffic, then this happens- it’s milking time. Those ladies weren’t in a hurry, many stopped at that big puddle on the right to drink, others just toddled off on their daily routine. Blimey, those ladies looked full. This entry was posted in Cycling, Weather and tagged Agriculture and Forestry, Cattle, Dairy. Bookmark the permalink.